Thanks to Advocates like you, in 2015, Congress passed the Global Food Security Act. Collectively, you took over 5,000 actions (phone calls, emails, op-eds, and more!) to support this bipartisan bill which now ensures greater government coordination across various food security and nutrition programs. Thank you! 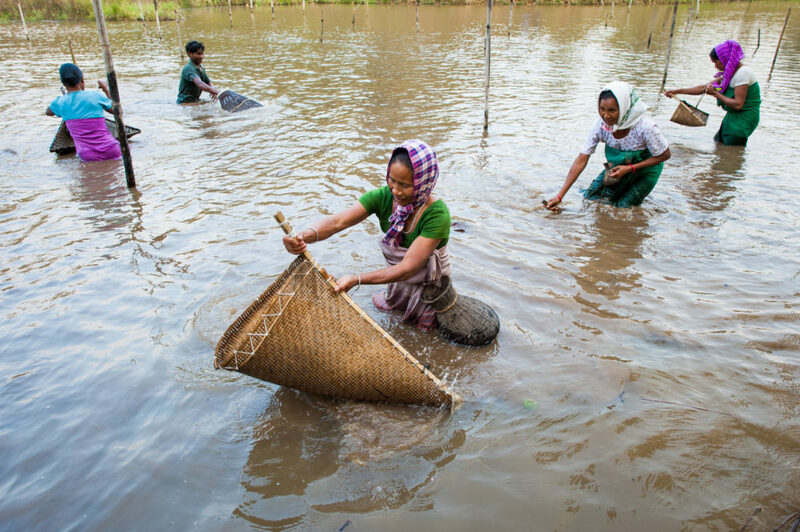 As a young girl, Ruma would watch the fishermen in her community bring in their daily catch and she aspired one day to pursue the same type of work. However, like many other women in her port city of Mongla, Ruma struggled without adequate guidance and training. Her initial efforts to manage a fish pond failed due to her limited knowledge. She rarely made a profit because she didn’t know how to properly feed the fish. Now, thanks to training and support she has received from Feed the Future, she manages not just one profit-generating fish pond, but three! She sells her fish to others in her village and with her increased income she is more confident about her future. And, thanks to the increased income generated by the ponds, Ruma sends her son to after-school tutoring and can set aside money every month for her savings. Ruma’s story is one of complete transformation and just one of literally millions made possible by Feed the Future. Feed the Future was launched in 2010 and since then, over 9 million people have risen above the poverty line in focus areas. Prior to this initiative, there was a decade-long decline in investment in agriculture development. Feed the Future draws upon the expertise of 11 U.S. federal agencies and utilizes strategic partnerships with governments, civil society, non-governmental and faith-based organizations, universities and the private sector. These efforts have helped to boost individual incomes like Ruma’s, connect farmers to markets, and further people’s access to nutritious food. Foundational research by Feed the Future, in Bangladesh in 2011, found that only 27 percent of women were empowered to make key decisions that impact their households, such as managing income. Fast forward to 2015, when Feed the Future measured the same indicators again and found women’s empowerment increased to 41 percent. In just four years, training and activities led by Feed the Future, in partnership with the Government of Bangladesh, had expanded income-generating activities dramatically for women. The focus of these programs is farming and entrepreneurship, which includes managing fish ponds and selling fruit trees. When passed, the Global Food Security Act provided a two-year authorization for the U.S. government’s Feed the Future program, meaning in two years’ time Congress would need to revisit the legislation to assess the gains that have been achieved, as well as consider additional improvements to reach more people in increasingly effective and efficient manners. The current Global Food Security Act is set to expire this fall and Congress is busy moving forward a new bill known as the Global Food Security Reauthorization Act (GFSRA), introduced by Representatives Chris Smith (R-NJ-04) and Betty McCollum (D-MN-04) in the U.S. House of Representatives. The Senate also introduced a companion bill, S. 2269. WE NEED YOUR HELP AGAIN to get as many members of Congress as possible to lend their support for this legislation by choosing to cosponsor and endorse the key provisions included in the bill. This spring and summer, Congress already has a full plate of policy issues they need to consider, but GFSRA should be made a top priority on this list, as its one of the best returns on investment in international development programming. Since 2011, nearly $2.6 billion was earned by Feed the Future farmers in new agricultural sales, and nearly $2.7 billion was unlocked in agricultural and rural loans, helping farmers grow their businesses and pursue new economic opportunities. Farmers globally have proven time and time again that when empowered through training, their ability to generate higher incomes is improved, and they place themselves on a more sustainable path forward for their families and communities. It’s time to support more farmers like Ruma, and urge your member of Congress to cosponsor and pass the GFSRA – the only way to continue this impressive momentum forward. Break through the noise: edit the email, share why you care, or add a personal story! If it was your immediate family, you would not hesitate. Why hesitate at all?